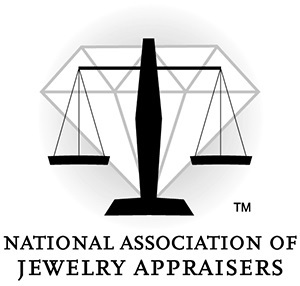 This article is one that addresses a common question posed by jewelers and gemstone cutters. Enjoy! Marking a rough diamond, is the process by which the diamond rough is evaluated and subsequently marked for the most desirable cutting method to yield a polished diamond(s) per the parameters of the diamond manufacturer. 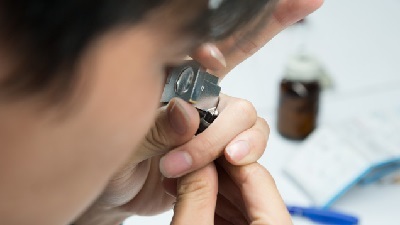 There are numerous considerations and factors that go into the marking of a rough diamond. Every piece of diamond rough has its own gestalt, or characteristics. Depending on the size, weight, and internal graining/inclusions of the rough diamond, as well as the objective of the diamond manufacturer, a decision will be made on how to cut the diamond. Many diamond manufacturers will opt to cut away less of the rough diamond, so that they can yield a polished diamond of heavier carat weight, even though this will usually result in a larger diamond of minimal brilliancy and beauty. Conversely, many perfectionists and purists will opt to cut away more of the diamond rough to a very specific set of ideal cut diamond specifications, so that the polished diamond will achieve maximum beauty and brilliancy. Considerations of the rough diamond’s unique makeup and characteristics, will often determine actual loose diamond shapes of the polished diamond, as well as how many diamonds are cut from one piece of diamond rough. Because this initial mapping process is most crucial in determining best ROI (return on investment) for the diamond manufacturer, the job of marking the rough was always left to expert diamond cutters and markers who were able to look at a piece of rough and immediately size up its best future potential in the polished diamond stage. 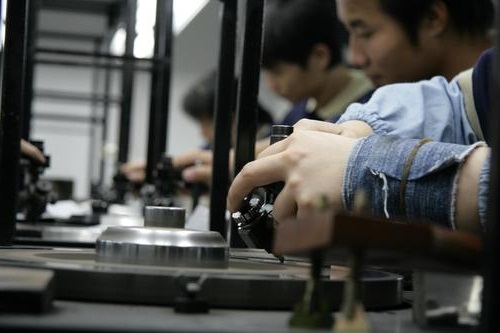 These expert diamantaires (who are in high demand, and quite scarce) are paid a huge salary for their invaluable contribution to the diamond manufacturer. As the diamond industry and technology has evolved, there are special scientific machines and diamond markers that have been created to accurately map out a piece of diamond rough via a highly efficient computer program. The rough diamond sits on a pedestal which has a suction feature to keep the stone immobile. The pedestal swivles on a ‘360 degree rotation, while a specialized laser takes calculations of the diamond’s height, weight, mass, and composite. The computer calculates all of these variables and then issues a list of options/results for what it considers the best method/yield for cutting the diamond rough. Depending on the software program, options listed can be set, or arranged in order of importance for best ROI, or any number of additional factors/considerations put forth by the diamond manufacturer. The fact of the matter is, these diamond machines have not entirely eliminated the need for the “old school” human diamond markers and experts. Indeed, many companies still insist on (human) expert markers for this crucial phase of the diamond cutting process. The reason being, the human ability to anticipate market trends, consumer desires, past history, and an intimate understanding of the subtle nuances of diamond rough and polished diamonds; all of which may factor into the equation of how best to cut the diamond. Copyright 2015. My Jewelers Place. Answers & Advice For Consumers.